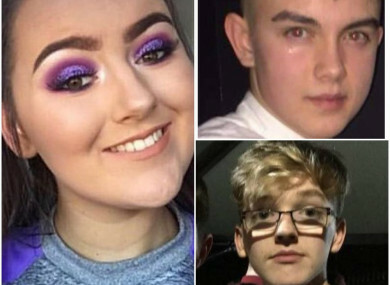 Lauren, Connor (top right) and Morgan (bottom right) died in the crush at the St Patrick's Day disco on Sunday. She and the two friends she went to the disco with escaped without injuries but she knew Morgan Barnard, one of the teens who was killed in the incident. Email “CCTV shows up to 400 people were present for Tyrone nightclub tragedy”. Feedback on “CCTV shows up to 400 people were present for Tyrone nightclub tragedy”.